Do You "Get It" When It Comes to Being a Father? Are you actively practicing the habits associated with great fathering? When it comes to being a father, do you “get it”? 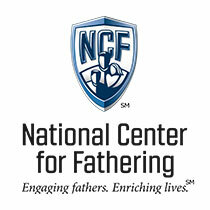 Here at the National Center, most of our materials are based on research about fathering. And quite often we see that research confirmed when we interview great dads about how they live out Championship Fathering. But our staff will tell you that when they hear a dad mention certain fathering habits or topics, they know that guy really gets it. He incorporates traits and attitudes that translate into great fathering. They express love. Some dads will say things like, “Susie knows I love her because she sees me doing things for her and with her.” And that’s a valid perspective. Kids do feel loved when their dads are involved and help care for them. But dads also need to say it: “I love you, and there’s nothing you can do to change that.” They put their own discomfort or ego aside and say it often because kids need to hear it. These dads ignore the costs. Some dads might be committed to their families, but they’re constantly thinking about what they've sacrificed to be a father: things they enjoy, money, job advancement, and so on. But devoted dads realize that it isn't sacrifice, but an intentional investment in something more important than those other things. These great dads acknowledge the impact of loving their child’s mother. This doesn't mean there are no great single or divorced dads, but that dad/mom partnership is a big factor. And it speaks volumes when dads recognize the great security kids gain when they see that their dad and mom love each other and (or at least) work together for the children’s benefit. Dads who really “get it” see the bigger picture. They recognize that healthy fathering reaches beyond the walls of their own homes, and encourages kids who don’t have a dad. They see that engaged fathers and father figures can truly change the culture, because many of society’s issues will be helped when caring, responsible men step up and care for children. What about you, dad? Do you get it? I hope these qualities challenge you, like they challenge me, to be more committed to my family tomorrow than I am today. Are your children getting enough of your focused time and attention? Maybe there’s room for more adjustments as you live out your priorities. What could you put on hold to free yourself up so you can give more of yourself to your children? Get together with your children’s mom to discuss each child’s development and challenges, and how the two of you can work together to encourage and guide them more effectively. If you’re divorced and don’t get along with her, meet at a neutral place and make it clear that you simply want to do better at helping the kids thrive; don’t get into past hurts or mistakes. Next time you’re doing a one-on-one activity with your child, include one of his/her friends who doesn't have a dad or doesn't see him often. If you read today’s blog and were convicted of ways you need to improve as a dad, use this as a wake-up call, an opportunity to make lasting, positive changes on behalf of your children.